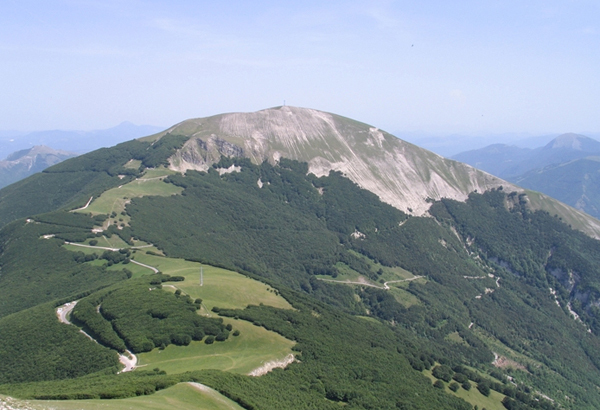 A few kilometres from Acqualagna, Cagli and Pergola, stands the second peak of the Pesar and Urbino province, Mount Catria. 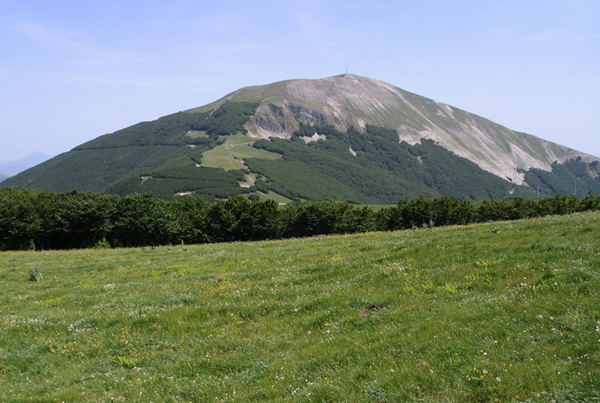 Like Nerone and Petrano, it is part of the Umbro-Marchigiana Apennine mountain range. Thanks to the views it offers tourists, Catria is one of the most popular destinations in the Acqualagna area for mountain lovers. It reaches a height of 1400 metres and attracts a great number of people both in winter and summer. This is due to the different tourist offers possible in both seasons. In winter, due to the ski facilities tourists can ski down pistes going down to the valley. Skiers can then go up again in a comfortable two-person ski lift. In summer tourists can go on a variety of guided excursions which will let them discover the natural marvels of a part of the Marches which, up to now, has remained relatively unknown. 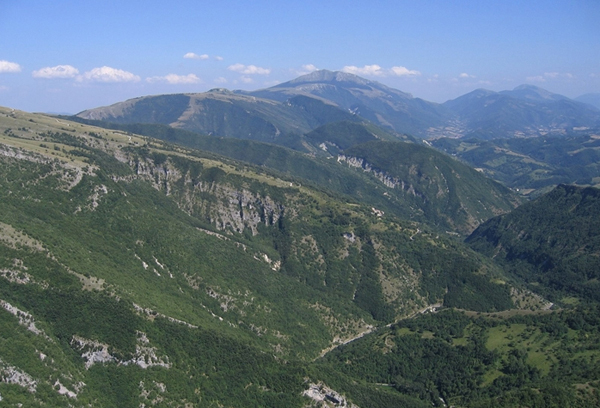 Just a few kilometres from Acqualagna stands the Petrano, a mountain which forms part of the limestone anticline of the Umbro-Marchigiano Apennines positioned towards NW-SE. It is 1.163 metres in height and the topmost point is known as “La Rocchetta”. Also in this Marchigiano mountain visitors can observe a variety of plant and animal life and see how the surrounding area demonstrates its natural history. As a matter of fact, the Petrano has revealed the lime-rich marlstone flints of the Red and White Flakes typical of the Cretaceous period of the Mesozoic Era. Through an analysis of the rock, you will learn about the evolution of this mountain over the course of various geological eras. Nature on Monte Petrano flourishes in abundance and there is a vast array of different tree specimens, from the downy oak to those up on the peaks deriving from the beech genus. Visitors may spot the Eurasian sparrowhawk and very often it is possible to see the common buzzard, the cuckoo, the tawny owl, the European nightjar and many others besides.